I've struggled with tree skirts in the past. I've settled for ones that weren't really my style (because they were on super sale), waged war against a glittery beast that left my whole house sparkling, and last year just bought a big drop cloth to wrap around the base of the tree. The drop cloth was by far my favorite to date because it was simple and neutral and really fit my Christmas decorating style. 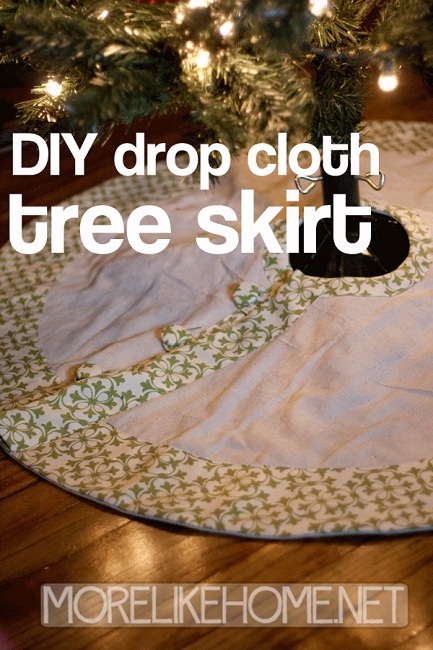 This year I decided to make a fancy new skirt out of the drop cloth and share the process with you!